Louis Harden ---under his far-better-known nom de plum Moondog ---is an American Original. He has an eccentric fondness for his own Nordic heritage and attired in coarse Viking garments with horned helmet and spear during the 1960s and 70s, becoming a colorful fixture on Manhattan's streets. His favorite hangout was at the corner of the old IT&T Building, on Sixth Avenue, where he philosophized, from dawn-to-dusk, about most anything to anyone who cared to listen, selling mimeographed copies of his poetry to survive. 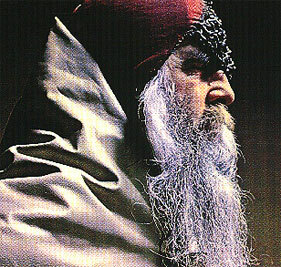 Viewed as a whole, Moondog's music displays an unusual clarity of vision and some ancient, haunting, rhythmic vitality.